Join fellow WWW members to work on your favorite work-in-progress or perhaps begin that story that you’ve always wanted to write, but haven’t set aside the time. Come for an hour or stay the entire time. All genres welcome. Coffee, tea, pastries and fruit will be served. 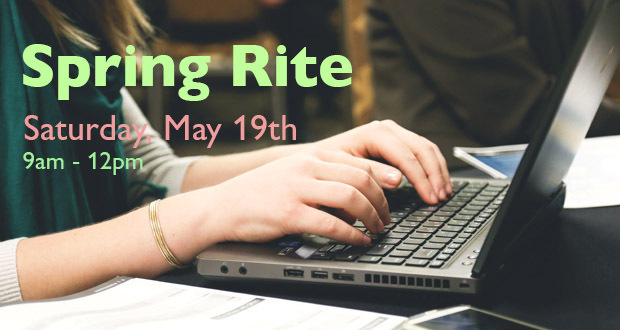 For hosting future Rites, either at your home or a café, please contact kimesteran@aol.com.